Tunisian non-government organisation Engagement Citoyen recently arranged for the return of dictator Ben Ali to La Goulette in an effort to inspire a higher turnout at national elections. On January 14th 2011, the people chased President Ben Ali out of Tunisia. Since then many had lost interest in politics. 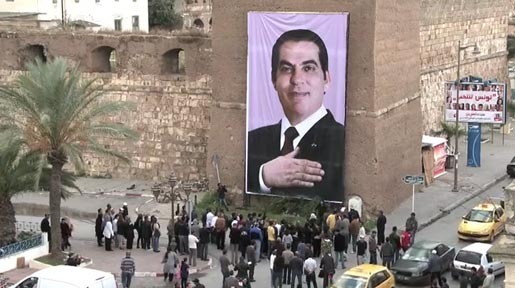 After many ineffective attempts to push Tunisian people to go out and vote for the upcoming elections, a building-size poster of Ben Ali was set up in La Goulette, the port of capital city Tunis. The shocked reaction of residents was filmed and broadcast. The result? On October 23rd, there was an 80% turnout when 60% was expected. The Return of Ben Ali campaign was developed at Memac Ogilvy Label Tunisia by creative director Nicolas Courant, associate creative director Gerald Heraud, creative team Mehdi Lamloum, Asma Kanzari, Yosri Mimouna, Yassine Boughaba, agency producers Bedis Benamor, Moez Nemsi and Aziz M’Bazaia. Filming was shot by director Fehd Chabbi via Propaganda Production.